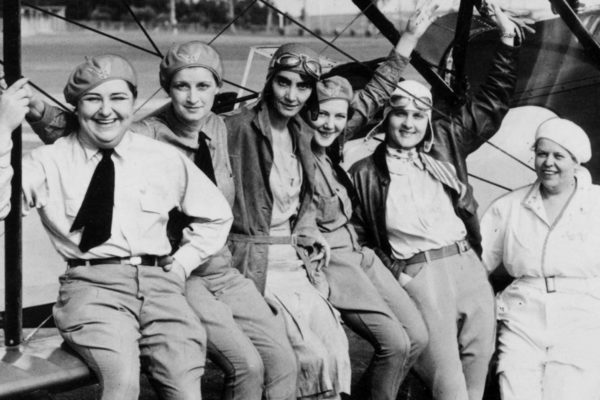 Annie Edson Taylor seemed to draw the short straw for much of her life. 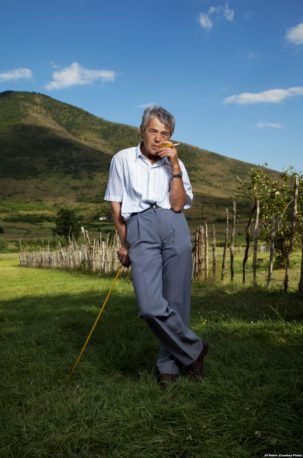 She came from a family of eight children and lost her father at a young age. She then studied to become a schoolteacher when met her husband to be, but tragedy ensued when their only child died in infancy and Annie’s husband died shortly after. After her terrible loss, Annie spent many years going from job to job, city to city in search of a means to secure herself financially. To avoid ending up at the poorhouse in her later years, Annie knew she needed to do something drastic, recognising there wasn’t much room for frail and penniless widows in a booming industrial nation at the turn of the century. She had read about popular daredevil stunts that drew massive crowds and somehow, made the decision that this was her calling. 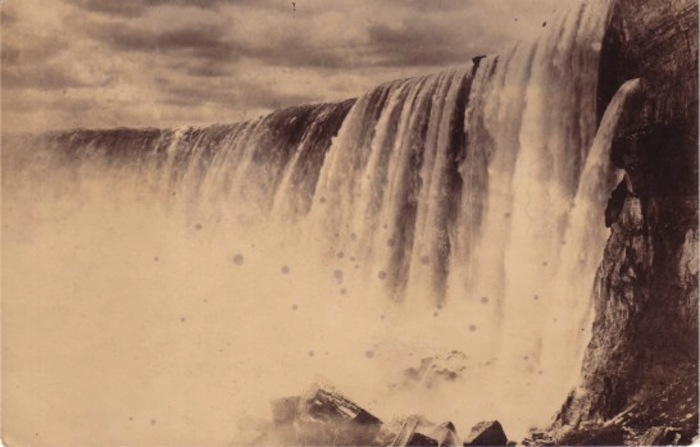 The unwitting volunteer for that test run was a domestic cat who was sent down the Horseshoe Falls inside Taylor’s oak and iron barrel padded by a mattress. The cat survived the plunge with a minor head injury and the barrel was proved sturdy enough for official approval. 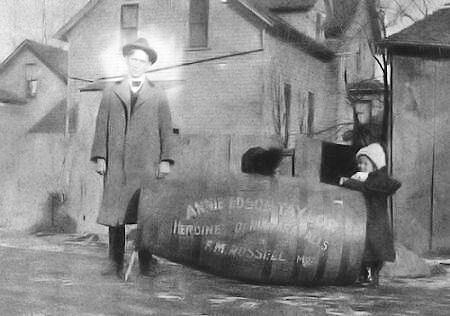 Two days later, Annie got in the barrel herself. 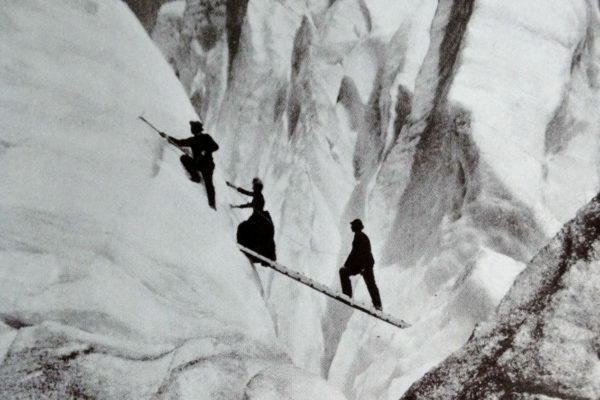 Just like the daredevil spectacles she had read about before, according to an edition of The New York Times in October, 1901 thousands of people gathered at the bottom of the Falls to witness the show, despite much skepticism that Annie would even survive. Her manager Frank Russell had also been warned that he could face prosecution if the deadly stunt went wrong. 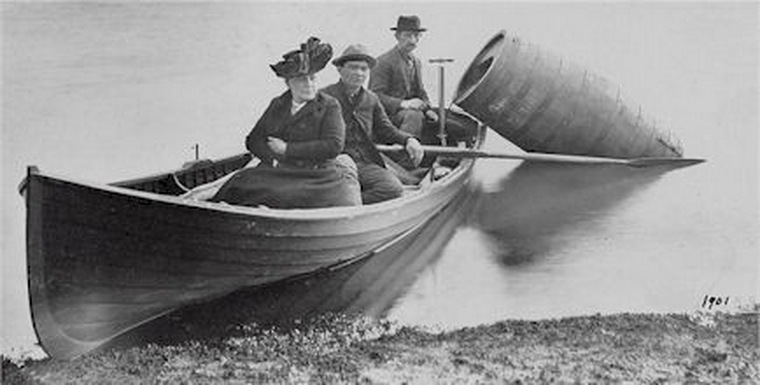 Finding volunteers to help paddle Annie’s barrel towards the potentially suicidal drop apparently also proved difficult and caused delays on the day. 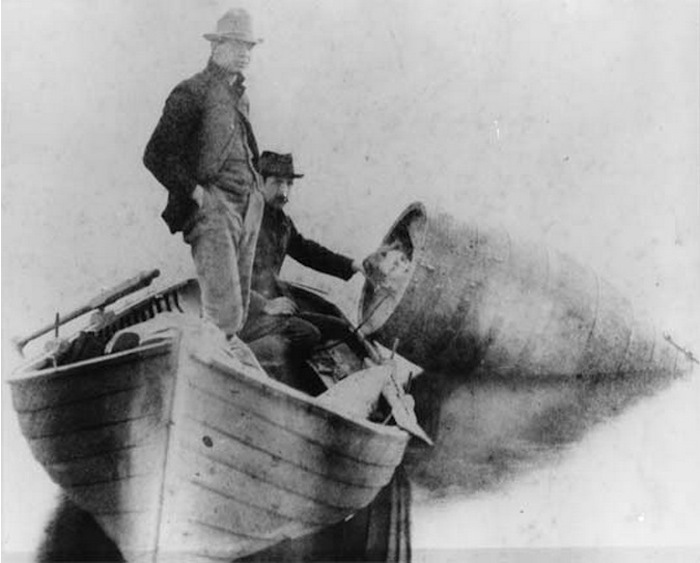 Annie was sealed inside her 1.4 metre by 1 metre barrel, which was pressurized using a bicycle pump and weighed down by a 200 lb anvil to help it keep an upright position in the rapids. A nail-biting 20 minutes later, the barrel was spotted bobbing back up on the surface of the water. Just like the cat, Annie had miraculously survived the plunge uninjured, except for a small gash on her head. She had been momentarily knocked unconscious after the drop but walked herself safely back to the river bank. Almost immediately afterwards, her manager disappeared with her barrel. 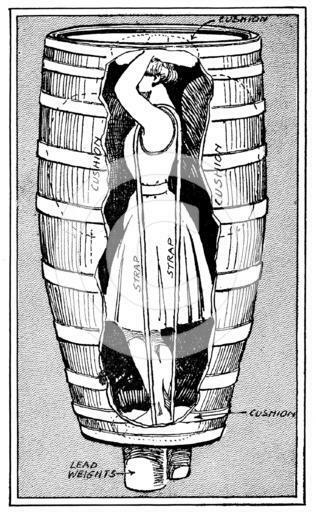 Russell exploited the barrel himself to reap the rewards, pretending that a young woman half Taylor’s age had in fact performed the stunt. 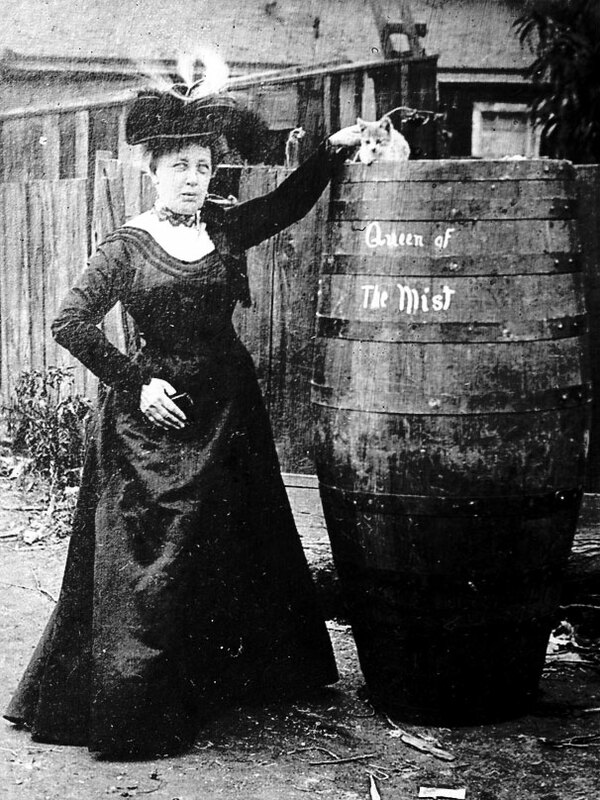 Annie spent most of her savings hiring private detectives to get her barrel back, who eventually located it in Chicago, before losing track of it again permanently. 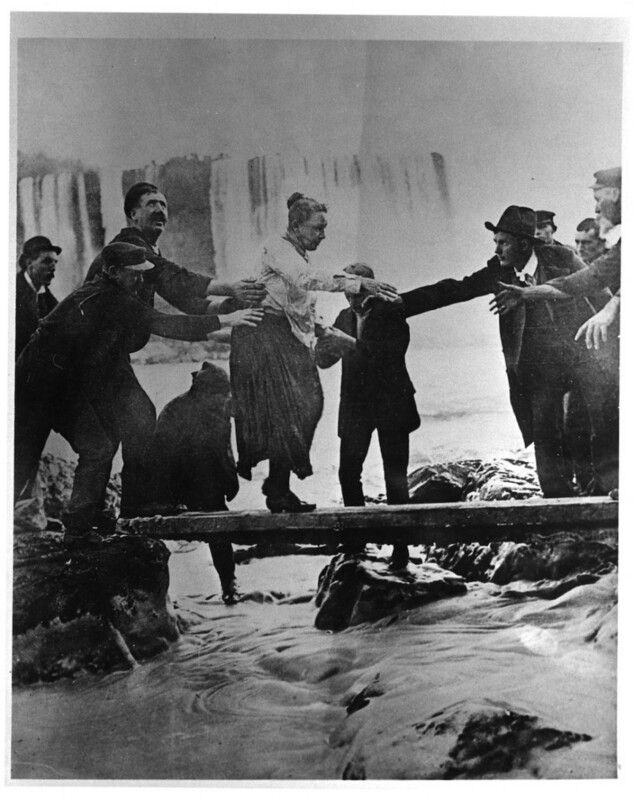 Despite vowing never to do it again, in 1906, she took a second plunge over the Cararact Falls, attempted to write a novel and re-construct her 1901 stunt on film (footage which was never seen and is now presumed lost), but Taylor was yesterday’s news. In a desperate bid to avoid poverty, she tried her hand at everything from earning money on the New York Stock Exchange to working as a fortune teller, but sadly, she couldn’t avoid her dreaded fate. 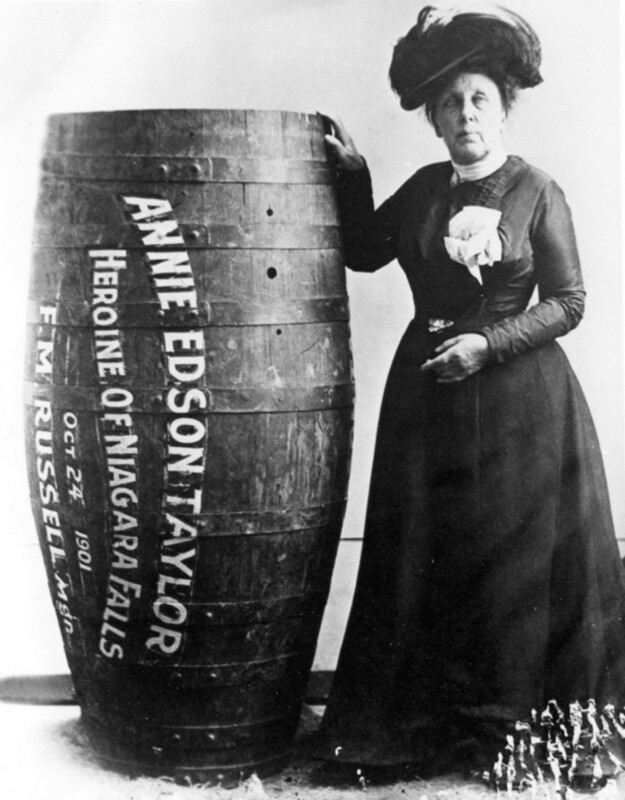 She spent her final years, posing for tourist postcards with replica barrels at her Niagara souvenir stand. Here’s to the bravest lady dressed in bloomers and a corset we’re ever likely to come across. I think she deserves a ride on the internet high horse today.